Once again the village enjoyed a fabulous festival and this year the weather was much kinder to us and remained mostly dry and some sunshine. Thank you to all residents for your positive feedback about the weekend. The weekend guest tickets at a discounted price of £42 to include access to the festival guest area for entertainment and camping and shuttle bus is a real privilege. The village of Bramham is most grateful to Melvin Benn from Festival Republic for providing us with the tickets and Bramham Parish Council for the organisation. As a result of the ticket sales the village raises in the region of £25k that is put into a Community Fund. This fund is chaired by Nick and Rachel Lane Fox who together with a committee allocate the funds to village projects. Nick Lane Fox is to be invited to the October Parish Council meeting to talk about how these community funds are shared amongst community groups. All residents are welcome to come along. More details to follow. Here’s to many more years of the festival coming to Bramham! 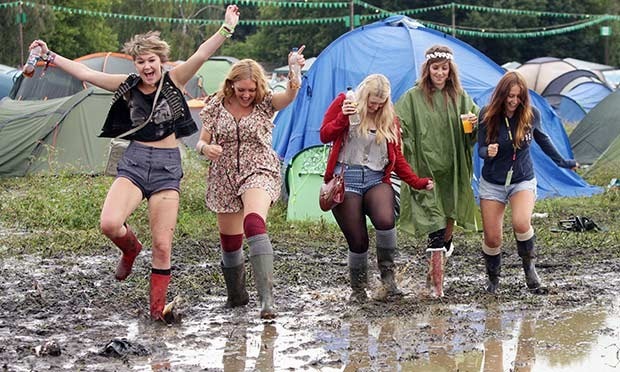 Click here to read about footpath closures that will take effect to ensure safety of everyone during the set up of Leeds Festival. Applications are invited for residents to purchase Leeds Festival weekend tickets for 2013. Please read the information below and follow the process to avoid any disappointment that may occur if your application is rejected. All residents of Bramham are eligible to apply for a ticket at £42 (this will be confirmed by the electoral role, if you are not on the electoral role please enclose further proof of residency which may be considered). This year residents will be able to nominate one additional residents ticket per household at the same price of £42.00 for a family member or friend who is not a resident of Bramham. These tickets will be distributed on a first come basis after the main residents tickets are all sold. Additional resident tickets are also available (that allow access to the VIP area) at standard festival ticket price of £201.50. Children under the age of 13 at the time of the festival do NOT require tickets. Cheques will be made payable to “Bramham Community Fund” with the name and address of main applicant on the reverse. IMPORTANT: Please make out separate cheques for residents tickets, nominated ticket and standard price tickets. The cheques will be banked within 14 days of receipt. Please enclose a stamped address envelope to receive your letter of confirmation, applications without stamped addressed envelopes will still be counted but you will not receive a confirmation letter. Closing date will be Friday 10st May and applicants will be informed within 21 days. All tickets will be named and will not be transferable; applicants will require Photo ID when collecting wrist bands at the festival. Tickets will be hand delivered the week of the festival (Monday or Tuesday). If there are any questions please feel free to contact Councillor Henderson who will either answer them or will make enquiries to festival republic to have them answered.